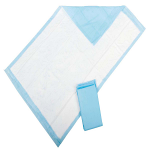 Disposable Underpads offer surface protection and can be used by anybody. 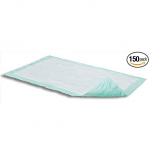 These underpads help reduce leakages and increase overall comfort, and Sportaid offers easy to use Incontinence Disposable Underpads from Protection Plus and Attends. 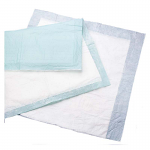 Whether you choose Attends Dri-Sorb Plus Underpads, Disposable Underpads Protection Plus Fluff-Filled Disposable Underpads, or Protection Plus Disposable Underpads With Polymer Fill, Sportaid will assist you in finding the right products for your needs. Improve your lifestyle and enhance your confidence by choosing the right option with the help of our experts. Feel free to call 1-800-743-7203 if you have a question, we are here to help! Get all your Incontinence Disposable Underpads from Sportaid, and save up to 41%! We guarantee satisfaction whether this is among your first visits or you are someone who has been with us for a while. After over 25 years in the business helping people find Incontinence Disposable Underpads at the lowest prices, we continue to lead the industry! We carry a large selection of wheelchair cushions, wheelchair parts, and wheelchair accessories. We are capable of beating any competitor's advertised price, just call! Our customer service staff has over 50 years of experience, plus over 90 years of combined wheelchair use experience. We look forward to working with you!